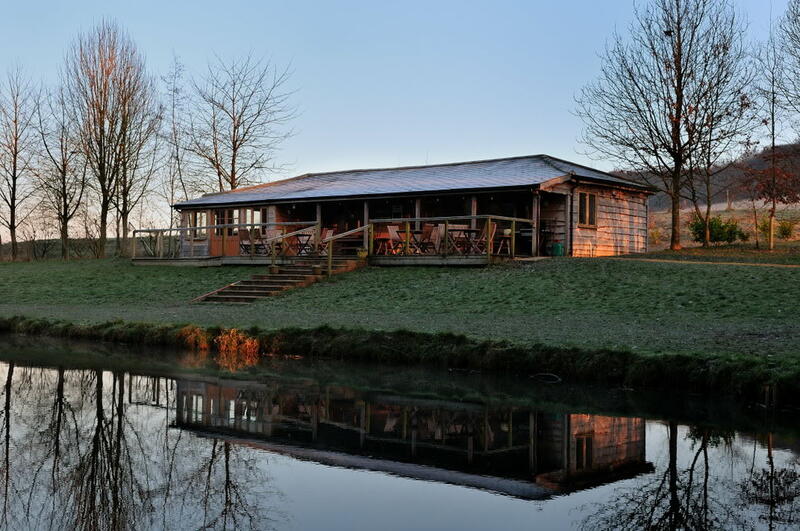 Here�s my review for Meon Springs Trout fishery near Petersfield, Hampshire. 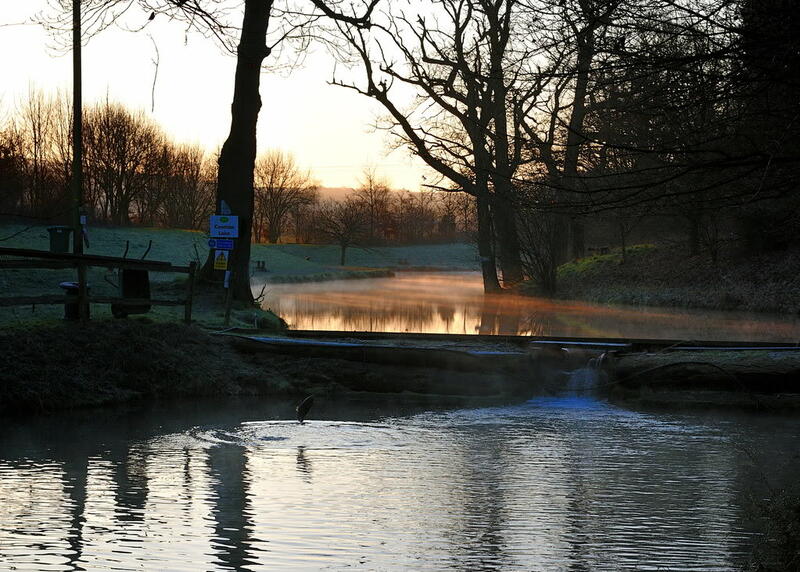 My mate Mick and I visited Meon Springs Saturday 3rd January on a very cold and frosty day. 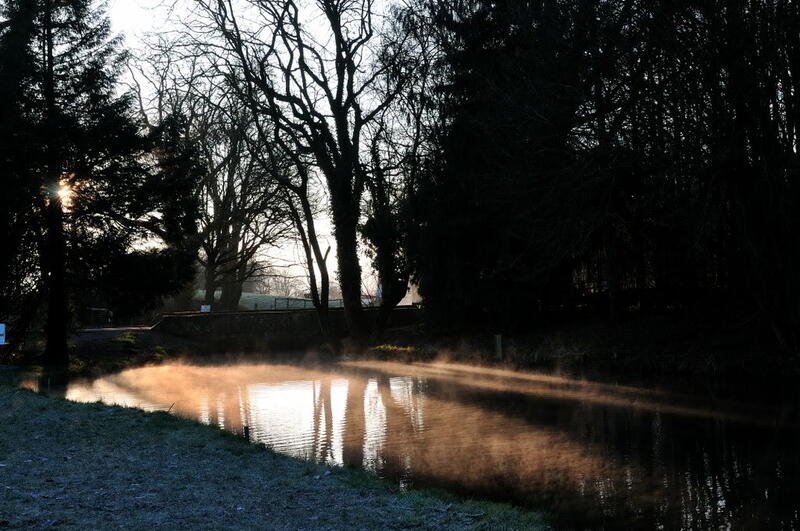 The weather forecast for the previous night was minus 3degrees but I had phoned ahead on Friday and was assured that the lakes at Meon never freeze up. I asked why and was told that the spring for the River Meon was not very far away and because of that, the water temperature rarely falls below 6 degrees. 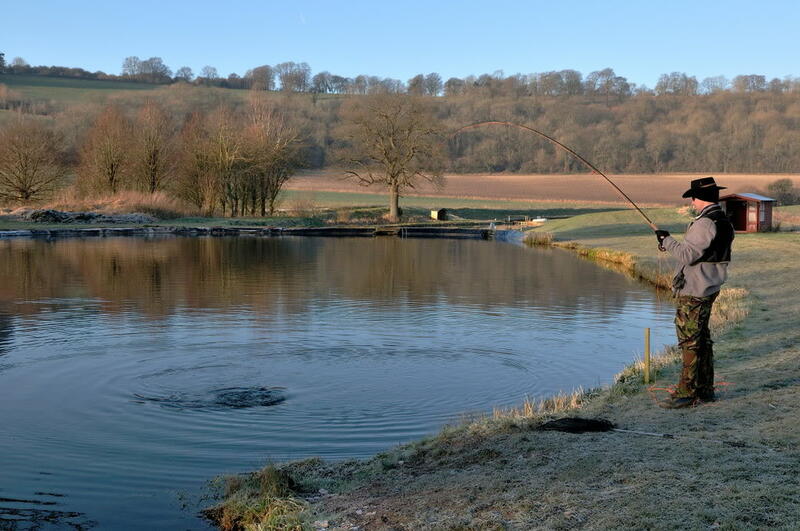 We arrived just after 8am and we were relieved to find the fishery ice free as promised. 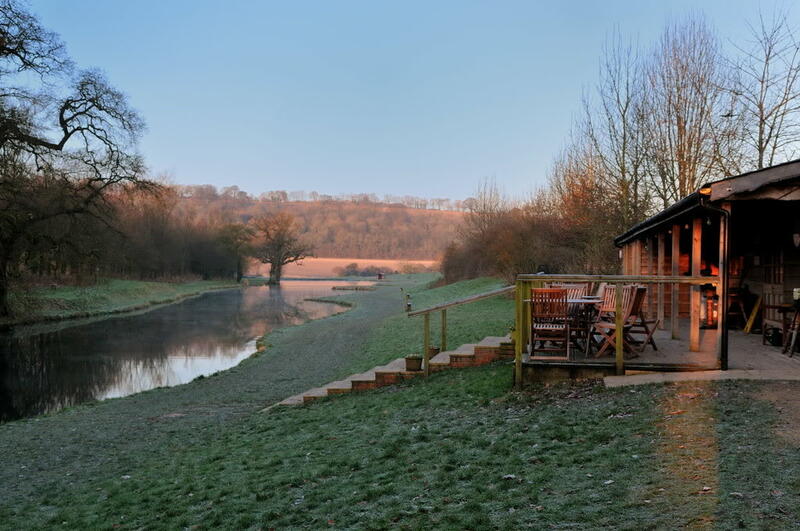 After an informative chat with the manager, Jamie, we tackled up in the nice warm lodge with a hot cup of coffee (incidentally, tea and coffee are free all day) and set off for our day�s fishing. 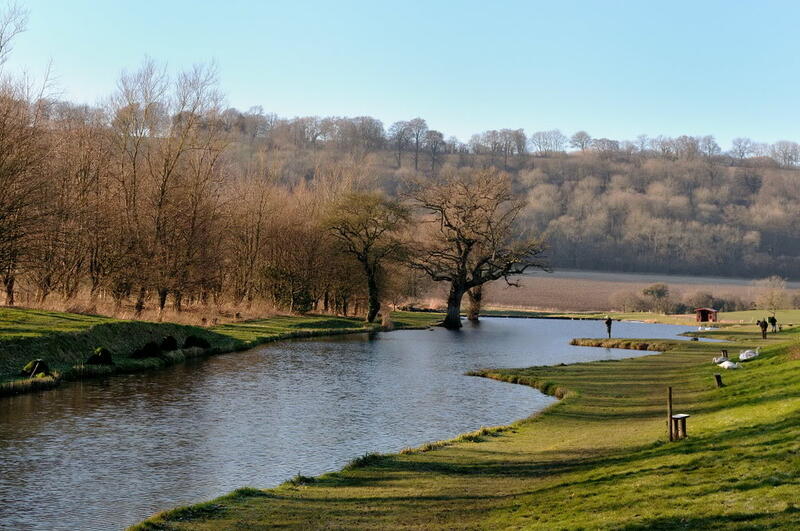 Meon Springs is comprised of two lakes, called Whitewool and Coombe, which are both catch and keep and a section of the Meon river which is solely catch and release. The lakes and river are stocked with rainbow and brown trout but all browns are catch and release. They also stock fish into double figures. When you arrive at Meon Springs Whitewool Lake is in front of the lodge and Coombe Lake is to the left, above the stocking ponds. 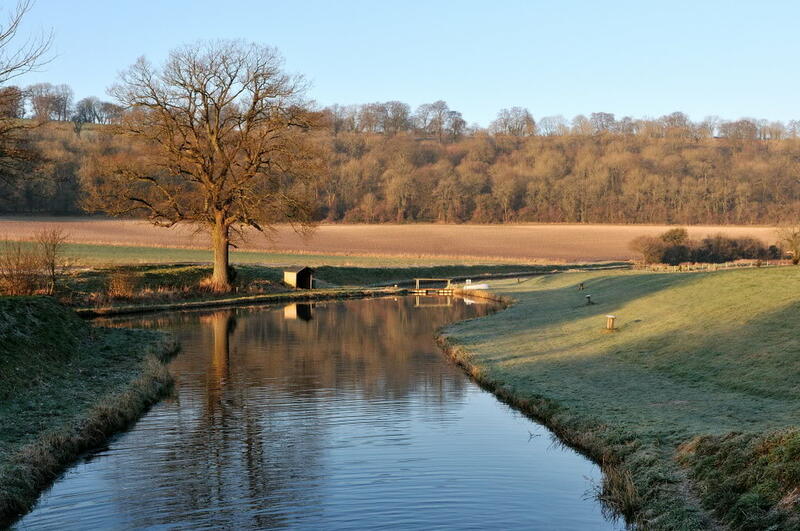 The river first flows into Coombe Lake, through the stock ponds, into Whitewool Lake and then down into Meon Beat. The Beat is man made, the first part has been widened into a small pond and then over a small cascade into a stretch, which resembles a river. It�s about 15-20 foot wide with the deepest section at the far end. We headed down to Whitewool lake and fished between the two large oak trees which overhang the far bank and where Jamie gave us good insight into where the fish might be, he wasn�t wrong! There were plenty of fish moving and rising throughout the whole of Whitewool lake but the majority seemed to be where Jamie had told us as that is the deepest part of the lake. We both had floating lines on with Diawl Bach flies and it wasn�t long before Mick had his first on the bank, a lovely 2lb rainbow which put up a healthy fight. I missed a couple of takes but soon I had my first on the bank which was the same size as Mick�s fish. 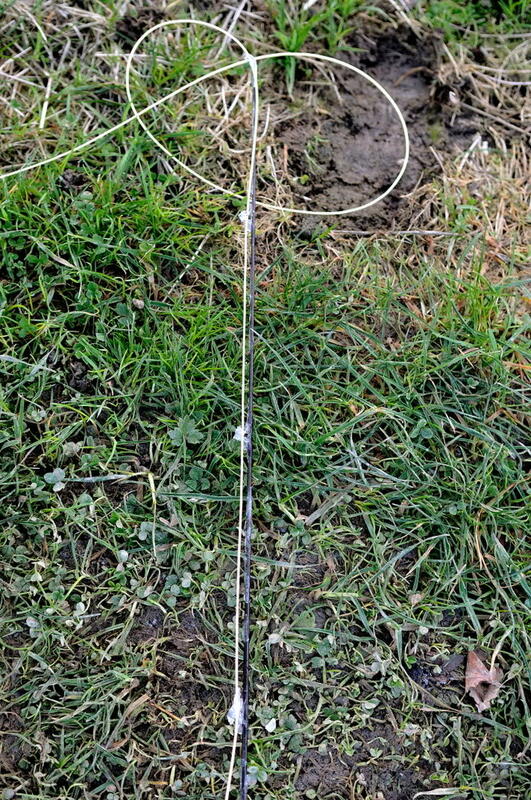 I tried a variety of flies, all of which were imitative patterns as I didn�t want to haul lures through all day. My second fish, a beautiful 5lb rainbow, fell to a Montana nymph fished slow and deep in the far end of the lake. 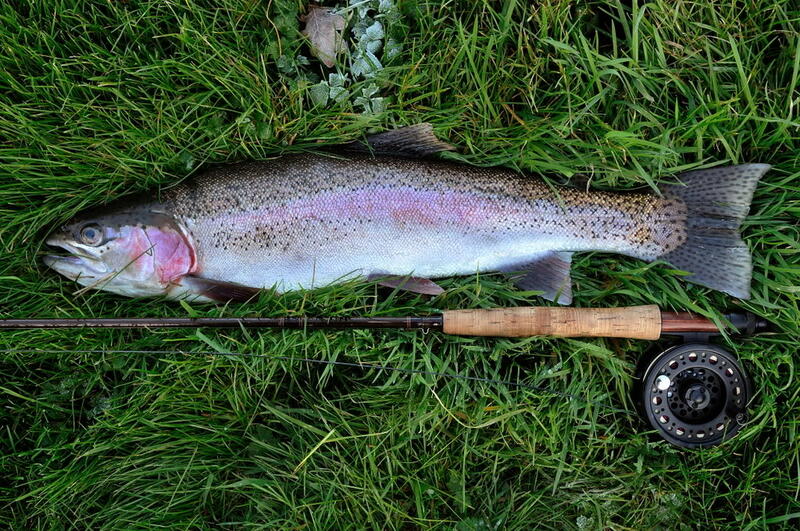 Mick also had a second rainbow to about 2lb. We then decided to have a break and headed down to the Meon Beat which is catch and release. The Meon Beat continues downstream from Whitewool Lake. There is a small waterfall which flows into a widened section of the river. We fished here and both had a couple of small rainbows and missed a few lightening quick takes. I had a couple of takes from the surface on a small brown parachute fly. We also moved further downstream to the far end of the Meon Beat, which is the deepest part. We had a couple of small browns each there but as the beat is fairly narrow here, we moved on as we had probably spooked the fish. 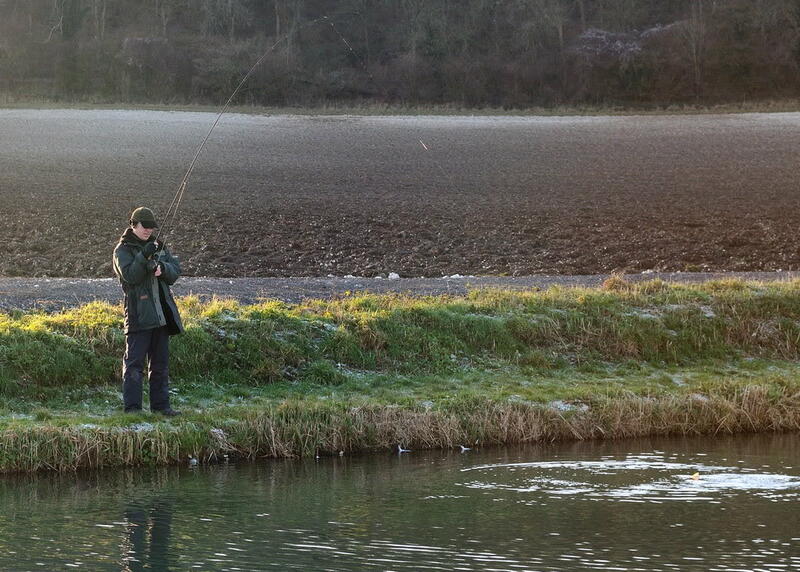 We finished our day at dusk, by then my fingers were numb and the eyes on my rod were freezing up quite badly and I was missing lots of takes! We headed back to the lodge to warm up again and to settle up with Jamie. A really good policy that Meon has is that when you arrive, you just sign in and start fishing. Then when you leave, you pay for the amount of fish you have caught. The minimum fish ticket costs �28.00 which includes catch and release but if you don�t catch your two fish, they give you a voucher for next time. We would certainly return especially in the spring when it�s warmer! Jamie told us that although the lakes were clear when we were there, when the sun gets up higher, the lakes are a great stalking venue. I hope you like my first review! This is the lodge that overlooks Whitewool Lake. This is looking down Whitewool Lake. Sunrise and mist rising from Whitewool Lake. These are the oak trees which overlook Whitewool Lake. Coombe Lake which is above the stock ponds. I even managed to get a trout mid jump! Top section of Meon Beat. Mick catching in Whitewool Lake. Me catching in the Meon Beat. Excellent review and some lovely pics. That 5lber looks to be in prime condition too. Looks like it has been in there a while. Glad you liked the review! Not sure how long the 5lb'er had been in for but it tasted lovely! What camera did you use for these photo's? Was it a normal digital camera? 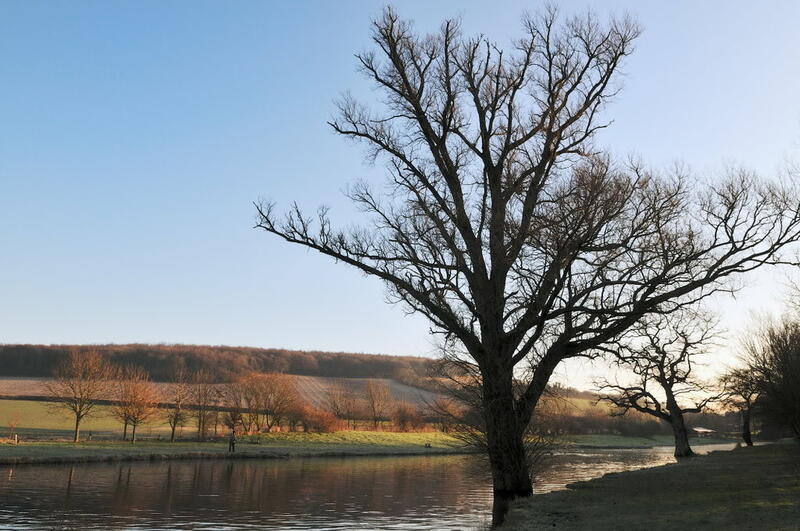 I used a Nikon D300 with a 17-55mm 2.8 lens, cracking bit of kit but a bit heavy to lug around a fishing lake. I have scaled down my fishing kit bag so I can fit it in. I'll try my hardest to remember yor kind offer Chris! Might be some time though!